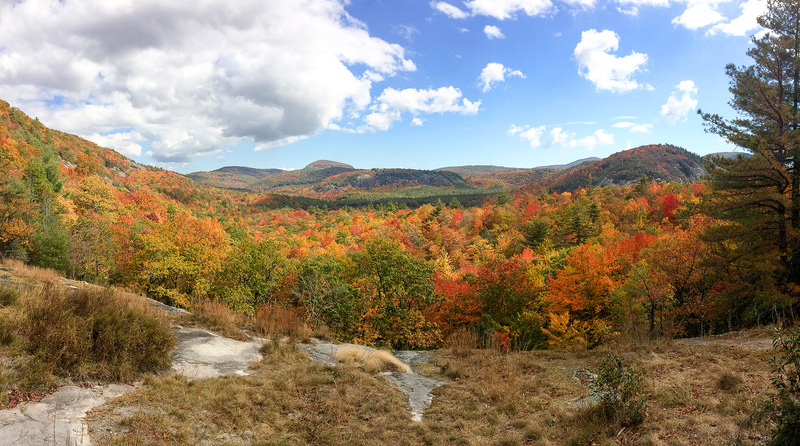 It’s officially fall, and the hunt for stunning foliage is in full swing. 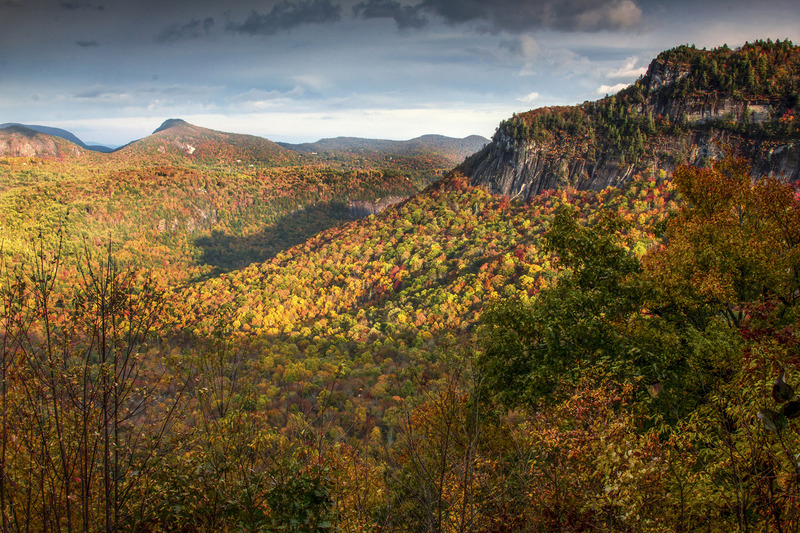 Jackson County in Western North Carolina is a prime viewing destination for those who make the trip during the upcoming peak colors of autumn. With the majestic mountains as a picturesque backdrop, travelers on the move for the best seasonal displays will find the fall colors of their leaf-seeking dreams in Jackson County throughout the next month. Check out the below fall leaf report to plan the perfect trip to catch the colors at their best. 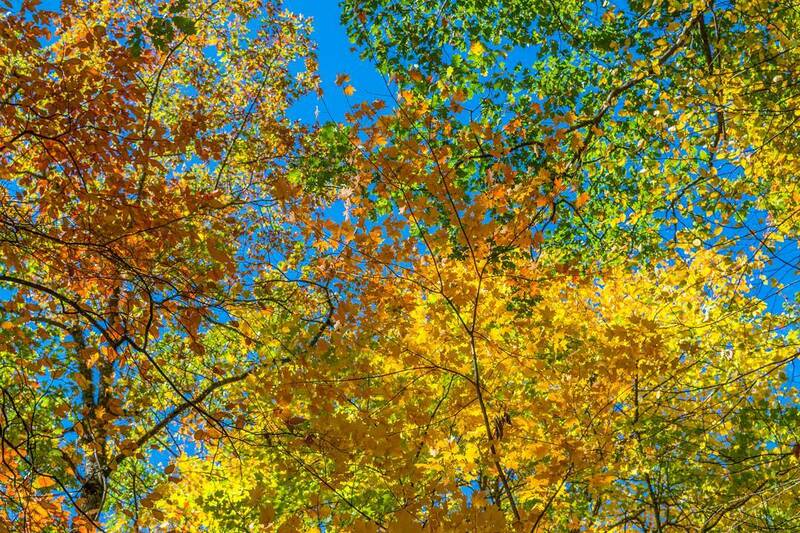 Right now, the earliest species are turning, including: sourwood (red); tulip poplar (yellow and brown); black walnut (yellow), black gum (orange, red). Keep in mind that the timing of color change and peak color varies with elevation. For visitors making a trip to the area soon, the highest elevations in Jackson County could reach peak color as early as the first week in October, or early in the second week. For visitors planning a trip later in the season, the lower elevation likely won’t reach peak (except in spots with ”early” species) until the third week in October. Explore 1,000 acres of natural landscape at Pinnacle Park with a seven-mile roundtrip hike that features significant elevation gain and rocky terrain, peaking at Pinnacle Bald. 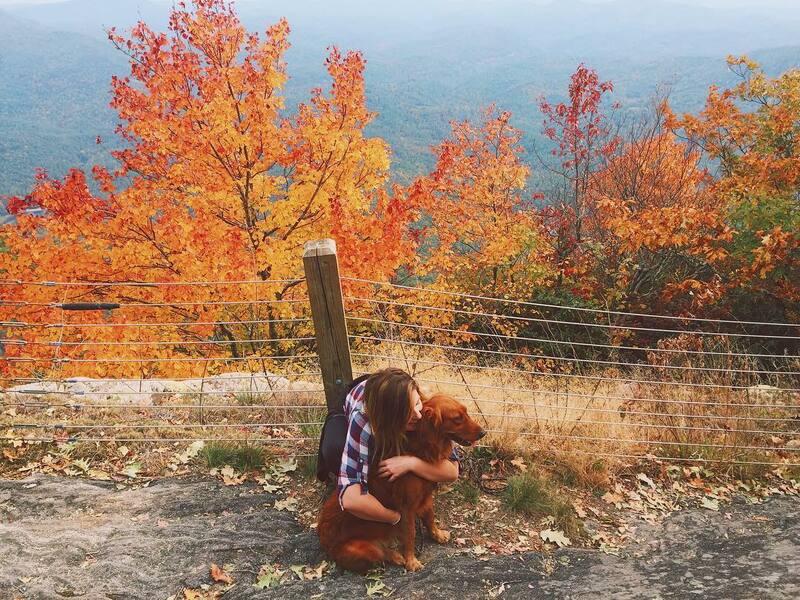 Hikers are rewarded with a 270-degree view of the adjacent mountains and the town of Sylva, both amust-see during the prime colors of fall. 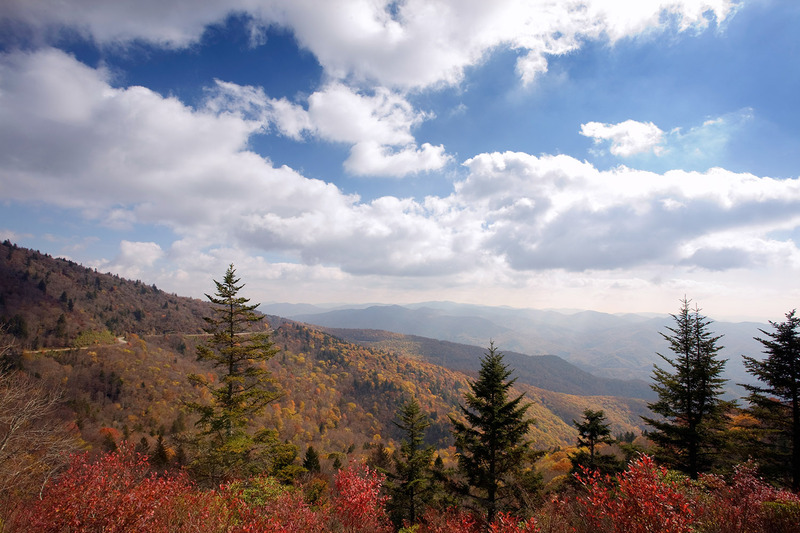 The Waterrock Knob Overlook at mile 451.2 provides another spectacular view, offering a four-state panorama of the Great Smoky Mountains painted in fall colors. Leaf-seekers can also take the 1.2-mile hiking trail to the top of the knob, gaining 412 feet in elevation, to find even more breathtaking views.